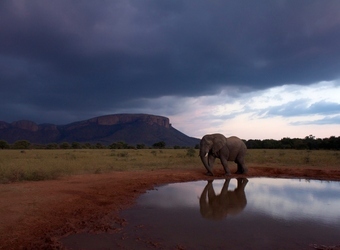 Marakele National Park is situated along the Waterberg massif in the northeast corner of South Africa. This is one of the most scenically beautiful wildlife areas in the country. The highlight is Marataba, a private wildlife reserve with nearly 57,000 acres of exclusive land and just 15 suites. Rhino, lion, leopard, spotted hyena, elephant, giraffe, zebra, kudu, and 800 breeding pairs of Cape vulture inhabit this stunning area. It's the epitome of beauty and wildlife in one exclusive space. We focus on Marataba Private Reserve within the Marakele National Park. The malaria-free reserve covers almost 57,000 acres of plains that abut the Waterberg Mountains with a combination of arid plains crawling with antelopes, and marshes that draw waterbuck and elephant to drink. This very exclusive private reserve allows you to experience wildlife up close, as you can do off-road driving, with guides skilled at avoiding sensitive plant life, as well as tracking animals by foot into the slopes of the massif. Both early dawn and late afternoon and evening wildlife drives reveal a variety of animals, often more active in the early and late hours of the day when temperatures are at their coolest. The mountain range provides a sense of direction as you traverse the rugged landscape, rarely to never seeing another vehicle. A water safari by pontoon boat just before sunset, accompanied by cocktails or soft drinks and canapés, sometimes reveals elephant snorkeling in the deep waters, and birds are always abundant. Marakele and Marataba are lesser know, although they feature exceptional and abundant wildlife, all habituated and quite relaxed, providing great sightings at close range. Elephant can be seen foraging in wooded areas or drinking from waterways that cut through the reserve. 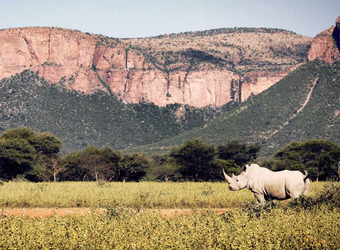 The rhino are commonly viewed throughout the reserve, and large kudu antelope are beautiful against the mountain landscape. Lion, leopard, spotted hyena and other small carnivores such as bat-eared fox are found at Marataba. 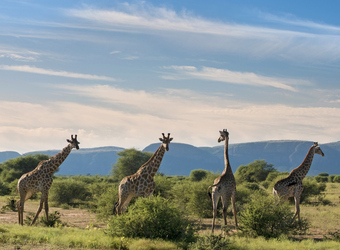 Favorites like giraffe and zebra are seen along with impala herds. Marakele also plays host to the largest colony of the endangered Cape vulture, of which there are 800 breeding pairs found here. Animals such as rhino and giraffe can be tracked and viewed on walking safaris, which are a specialty at Marataba and can even be enjoyed for several days as part of the new field camp. Marakele and Marataba are malaria-free areas and for this reason combine well with Madikwe Game Reserve, the Southern Kalahari and Eastern Cape as a well-rounded family safari. 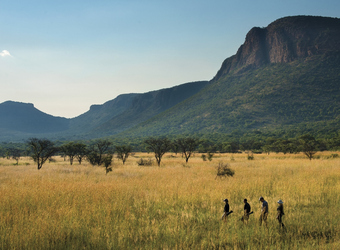 A combination of Madikwe, Marataba and Sabi Sand create a diverse itinerary of three unique and distinct regions. When did you visit Marakele National Park?